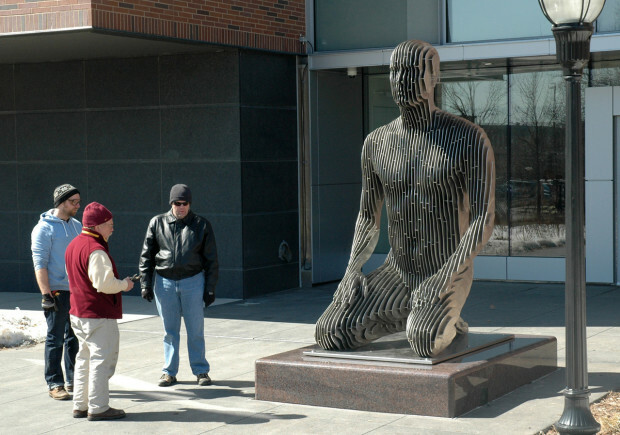 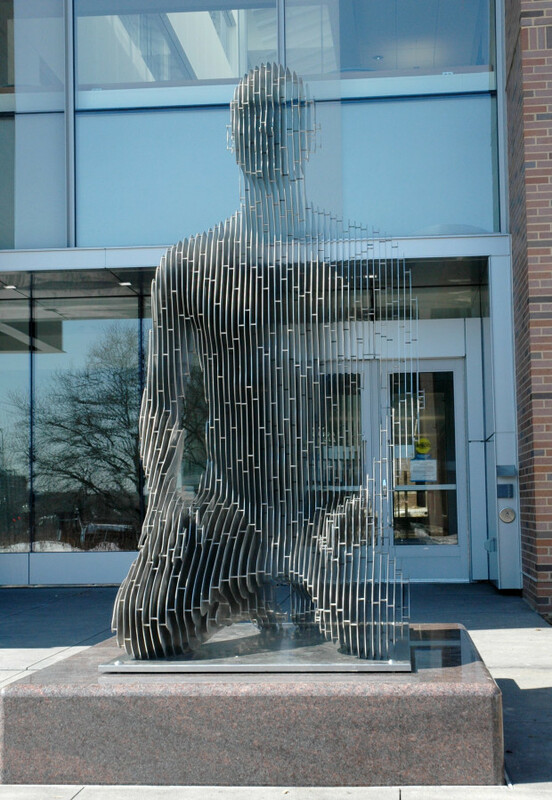 Julian Voss-Andreae, a former quantum physicist, designed a sculptural installation for the University of Minnesota’s new Physics and Nanotechnology Building inspired by a view of the human body through the lens of quantum physics. 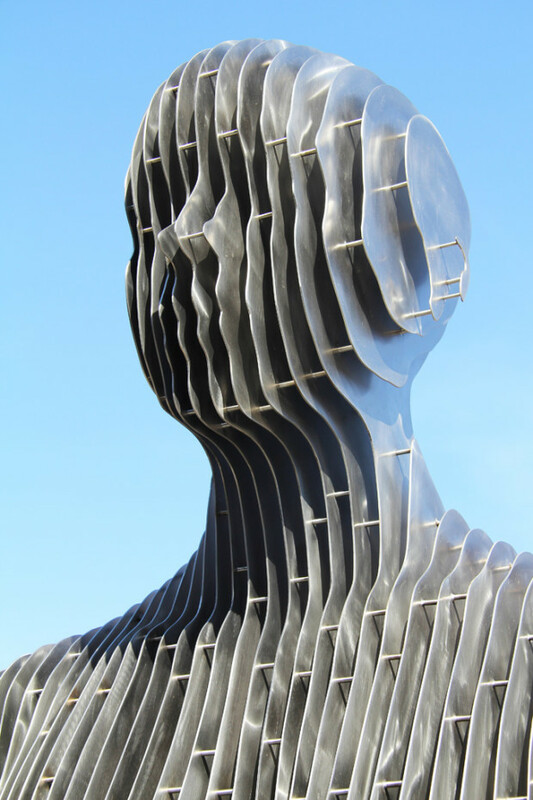 The German title of the installation (literally "tension field") originated in physics but is used in contemporary German almost exclusively in a metaphorical sense, implying a dynamic tension, often between polar opposites, that permeates everything in its vicinity. 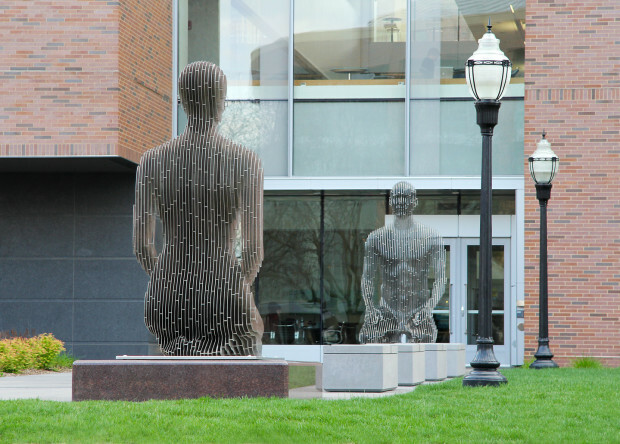 "Spannungsfeld" consists of two 10' (3 m) tall figures in a basic kneeling pose, a male and a female, facing each other. 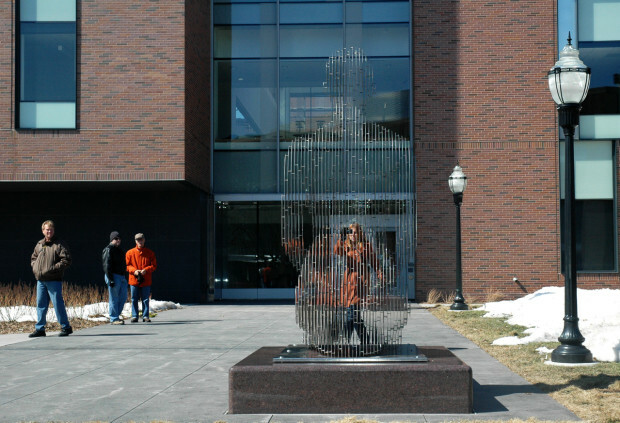 The sculptures were designed on the computer and fabricated in the artist's studio in Portland, OR.